The Monitoring Committee of the Parliamentary Assembly of the Council of Europe (PACE) is expected to discuss lingering conflicts on the territory of FSU during aw meeting to be held in Armenia. The decision on this issue was made during the meeting of the PACE Monitoring Committee held in Strasburg today (October 5), Trend reports referring to the MP. According to Ganira Pashayeva, the conflict in Nagorno-Karabakh which is a part of Azerbaijan is also referred to lingering conflicts, therefore, they will focused their attention on this issue as well. In addition, the forthcoming visit of Russell Johnston, Head of the PACE Subcommittee for Nagorno-Karabakh was discussed. Mr. Johnston is expected to pay his visit to Azerbaijan, Nagorno-Karabakh, and Armenia very soon. During the meeting, the visit of PACE Co-Rapporteurs on Azerbaijan Andreas Herkel and Tony Lloyd to the region which was scheduled for the end of October was discussed as well. During the discussions, the particular attention was paid to the laws On Freedom of Gatherings and On Election Code, pointed out the MP. 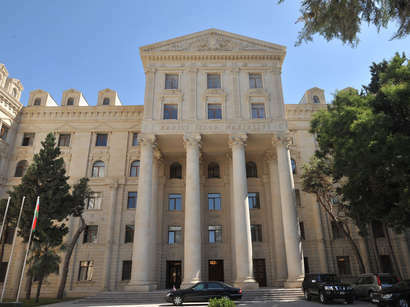 According to Ganira Pashayeva, during the meeting held, one of the issues put forward to discussion was devoted to the sitting of the Media Subcommission scheduled for November, as well as the sitting of the Political Committee to be held in Baku on December 11.